Plugin (Mambot) for displaying one or more Google Maps within content-items, modules or components of Joomla 1.0.x or 1.5.x (native) or 1.6.x. Phoca Maps is a Joomla! component. It is a small component which displays Google Maps on your site. This component doesn’t include too much of parameters, the idea of using this component is a fast creation of map on your site. Very simple setup! JGMap updated to Google Map Version 3. You will no longer need the Google Map API key. Display all your places, a category or a selection of your choice (thanks to the plugin). Hotspots is a new highly configurable, advanced google maps marker Manager released for Joomla 1.5 under GPL, that supports multiple categories with different icons for your locations (markers). * Frontend Marker adding (as option) with a drag & drop marker! The Googlemap light makes it possible to create a googlemap very fast and without much knowledge. This plugin allows you to include one or more google maps right inside your content item or article. This is a super light-weight plugin using only about 6K of codes. You can use this to easily add a map to your company address. – Supports images within the markers pop-up window! – highly customizable regarding CSS, language, icons, view etc. Webmap+ is a Google Map component for Joomla! that allows you to post multiple locations on one map. Webmap+ allows your customers to select specific business locations where they can view custom highlighted attributes of that location on the map itself or link to a webpage specific to that location. Webmap+ is a great user friendly map tool for your business to incorporate into your website that will help your customers search for addresses, phone numbers and your closest business location. The YOOmaps is a lightweight module for Joomla. 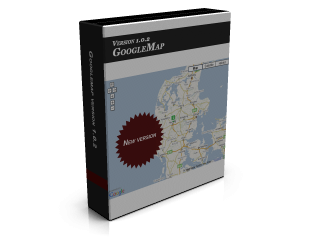 It integrates Google Maps into Joomla in a very smart way. Joomla articles are used to display markers with content on the map. All Google Maps features like Zoom Level, Zoom Controls, Map Type and Minimap are fully controlled through the YOOmaps module configuration. A special highlight is the “Get direction” tool which allows visitors to find their route to your company. Route planning has never been easier!